For three days during the July 4th holiday weekend since 1991, Colorado’s signature cultural event is presented in Denver’s Cherry Creek North. The Cherry Creek Arts Festival (CCAF) is a free, world-class and award-winning celebration of the visual, culinary and performing arts and enjoys an annual attendance of 350,000 visitors. Special exhibits, art and culinary demonstrations, and interactive family activities on “Artivity Avenue” complement the festival experience. Along with the annual civic event, the Cherry Creek Arts Festival’s 501(c)(3) non-profit mission supports art education and outreach programs in local area schools to 20,000 students and their families. Supporting the year-round activities and 3-day festival is an award-winning volunteer program of 1,200 individuals dedicated to CCAF, its artists, its patrons, and high levels of customer service. Also known as “America’s Most Honored Arts Festival,” CCAF garners recognition and respect at the local, state, regional, national and world-level with marketing and sponsorship arenas, as well as both the festival and visual artist industries. In the visual arts industry, CCAF is consistently rated in the top 25 arts festivals in the nation, and in 2005, CCAF was awarded the #1 Visual Arts Show in the United States by The Art Fair Sourcebook, a leading visual artist industry publication. CCAF has been awarded the International Festival and Events Association’s Gold Grand Pinnacle Award, the highest award in the special event and festival industry, a record-setting five times: 1998, 2000, 2003, 2005 and 2013. The Arts Festival competes with over 1,500 entries annually from the world’s top festivals and special events ranging geographically from Singapore to Ireland, and from organizations and budgets as diverse as The Pasadena Tournament of Roses, The Anchorage Fur Rendezvous, The Kentucky Derby Festival, Sausalito Arts Festival and Colorado’s own Greeley Independence Stampede. At the heart of the annual Cherry Creek Arts Festival is its renowned fine arts and fine craft exhibition. The success of this program throughout the years is attributed to higher-than-average art sales complemented by exceptional visual artist customer service and amenities. High sales are attributed to the location of the festival in Denver’s affluent Cherry Creek North, successful outreach to art buyers, as well as Denver’s general affinity for the arts. Due to the past and continued success of the visual artists, CCAF enjoys one of the most competitive jury processes in the nation: over 2,000 artists apply for the approximately 260 annual spots. In addition to the annual festival, CCAF produces mission-based and award-winning state and citywide programs including the Mobile Art Galleries I+II, Student Art Buying Program, and African Rhythm Synergy. These exciting and nurturing programs are recognized and endorsed by school systems, other festivals and the Scientific and Cultural Facilities District (SCFD). Other programs at the CCAF include the Non-Profit Partner vending program, which donates over $20,000 annually back to other local not for profit organizations. Since its inception, CCAF has donated over a half-million dollars to the community. 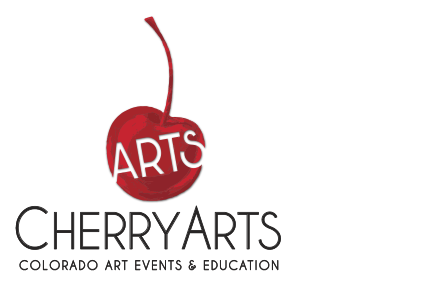 CherryArts (Colorado Events & Education) is a 501(c)(3) not-for-profit corporation whose mission is to provide access to art experiences and support arts education in Colorado. Along with the annual Cherry Creek Arts Festival and the Stanley Arts Festival, CherryArts fulfills its year-round art education and outreach mission through programs including the Mobile Art Gallery, Artist in Residence programs and the Janus Henderson Investors Student Art Buying Program. CCAF’s model for success is the synergy of its dedication to its mission, unique setting of Denver’s Cherry Creek North district, fine art exhibition, 3 days of free and exciting festival programming, year-round mission-based educational programming, community relations and satisfaction, fiscal management and professional attention to detail. The CCAF marketing positioning statement is designed to a) state the above-mentioned synergy and differentiation, b) state how CCAF sees itself in the market, and c) inform others of what is important to CCAF: “The Cherry Creek Arts Festival is Denver’s premier and highest quality combination of fine art exhibition, free admission and complete family entertainment — complemented by unforgettable and superior customer satisfaction.” This statement, combined with the CCAF mission statement, summarizes the foundation of CCAF’s on-going success.